Spyder Chrome Euro tail lights are made to add a custom look and their increased brightness allows other drivers to see you more clearly, adding to your safety on the road. These tail lights feature unique Altezza styling and make a great addition to any car or truck. Replacement tail lights from Spyder are all manufactured to meet or exceed OEM specifications and they are extensively tested against rain, humidity, shock, and vibration to ensure performance & durability. 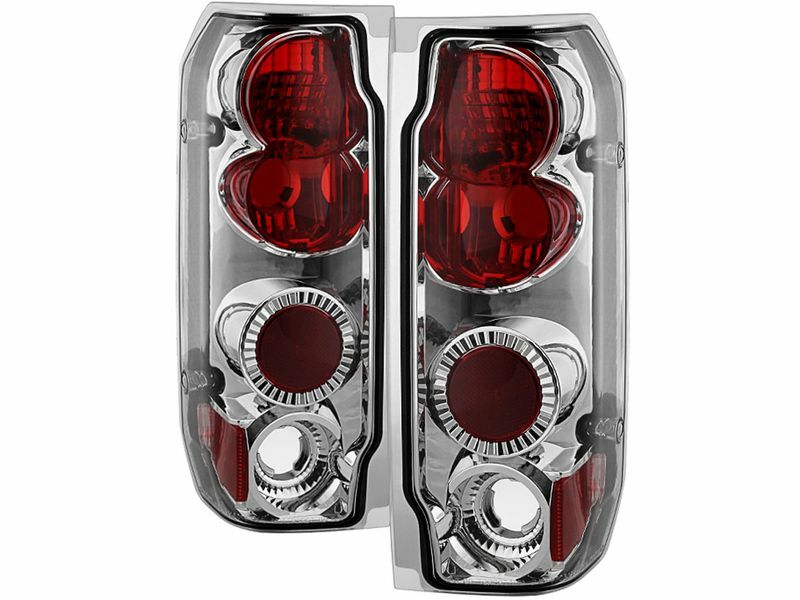 Spyder's high quality standard has made these tail lights SAE & DOT approved. Installing a set of these Chrome Euro style tail lights won't be a problem since they are designed as direct factory replacements - just plug in and go. No need to waste any more time. Upgrade your vehicle's safety and style with a set of your own Spyder Chrome Euro tail lights today! • Spyder Auto offers the original purchaser a limited lifetime warranty from defects in material and workmanship. • Spyder Auto offers the original purchaser a 3 year warranty from defects in material and workmanship on all powder coat finishes from the original date of purchase.